Updated! New Tile Floors! 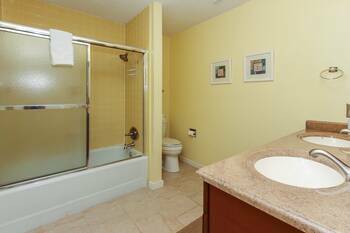 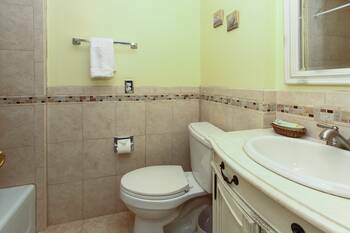 Granite Counters, Gorgeous Baths! 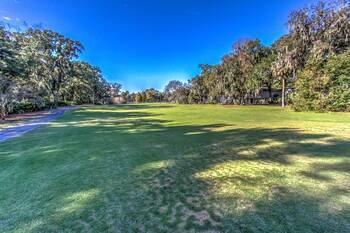 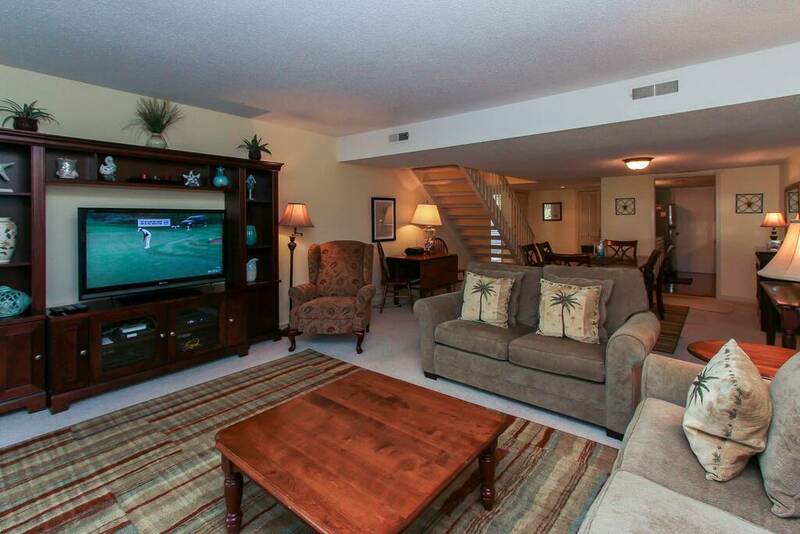 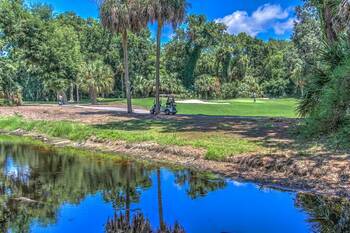 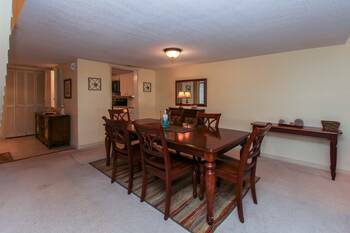 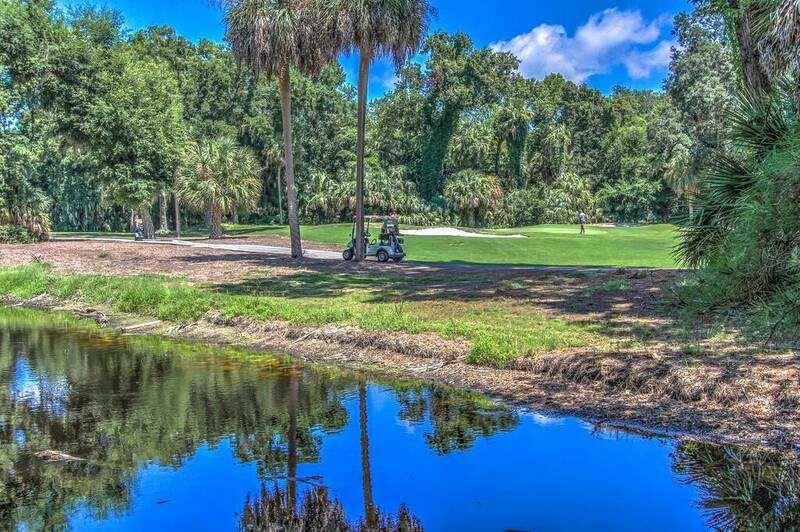 Great condo in Shipyard with golf views. 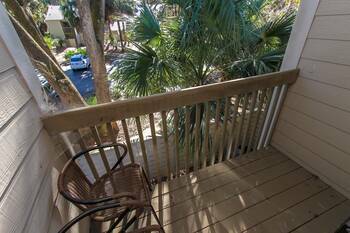 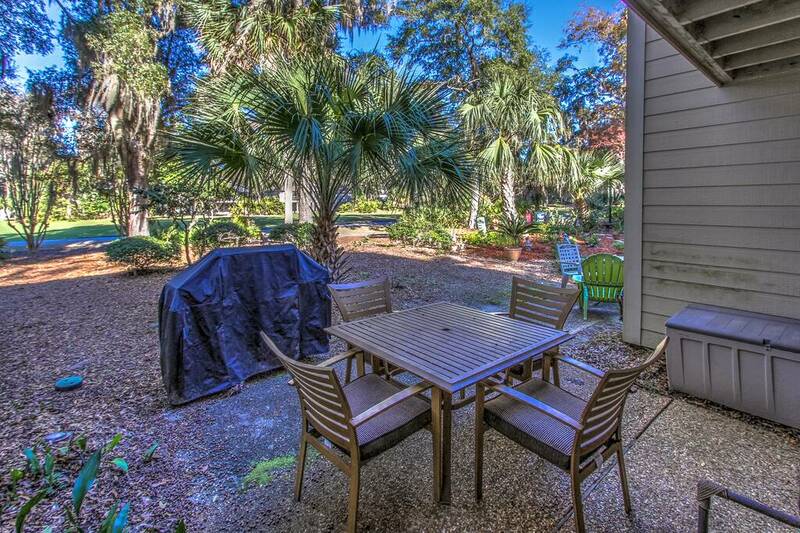 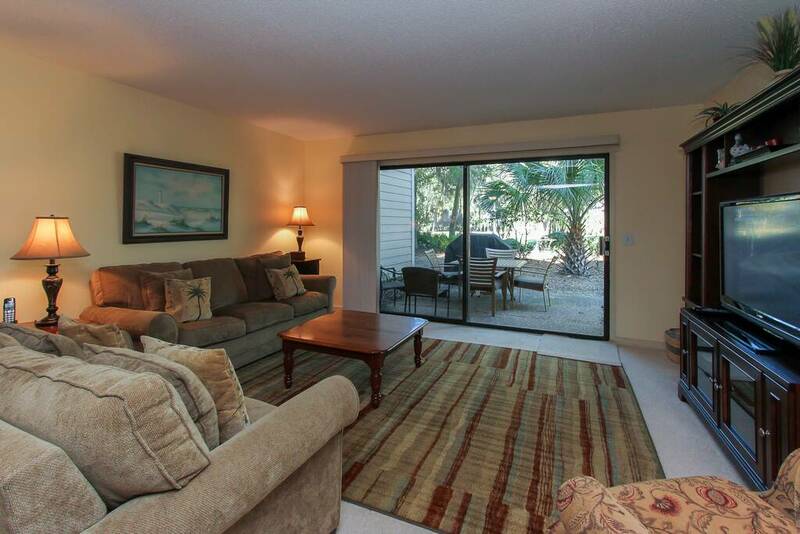 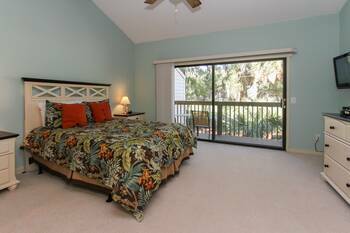 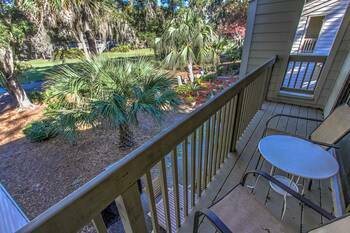 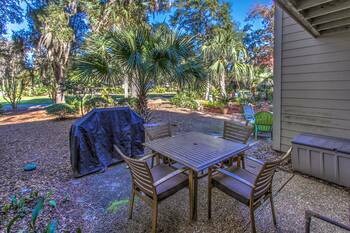 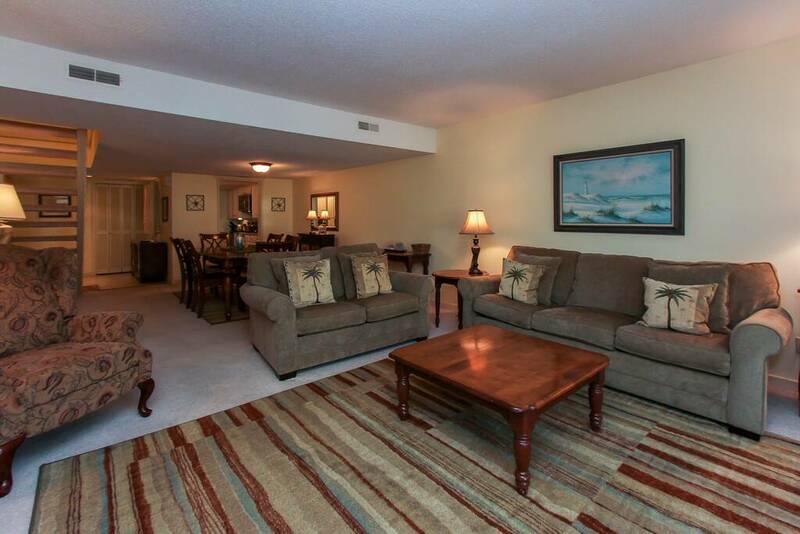 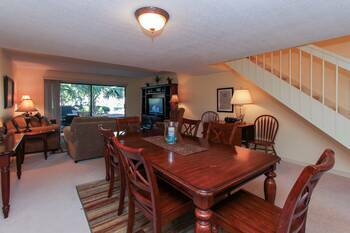 3 BR 3 BA Shipmaster Condo! 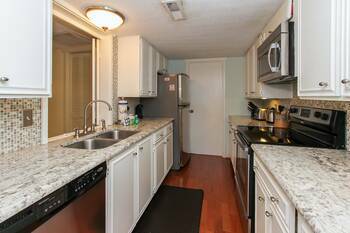 Updated Kitchen! 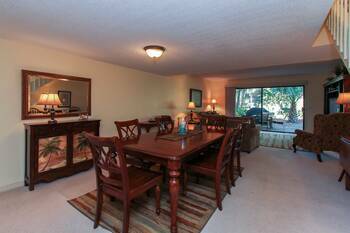 Updated Furniture! 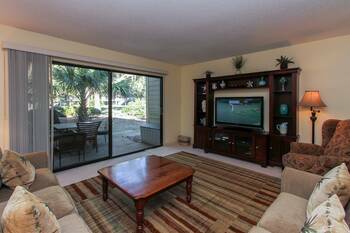 Flat screen TVS! 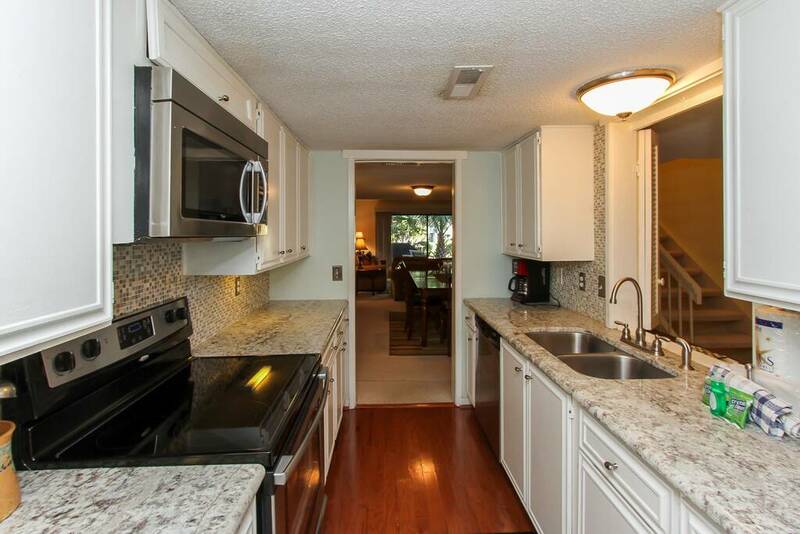 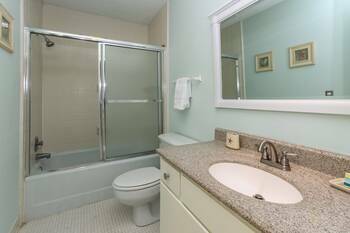 Granite Tile, Updated Appliances, Huge Condo! Sleeps ten people. Oversized dining room and living room allows for plenty of space. DVD players are included for you to enjoy. All bathrooms have been completely updated. 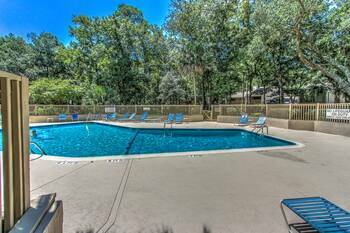 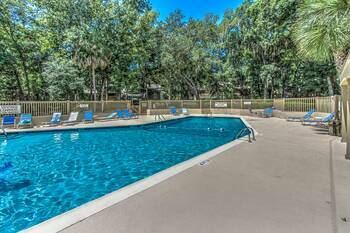 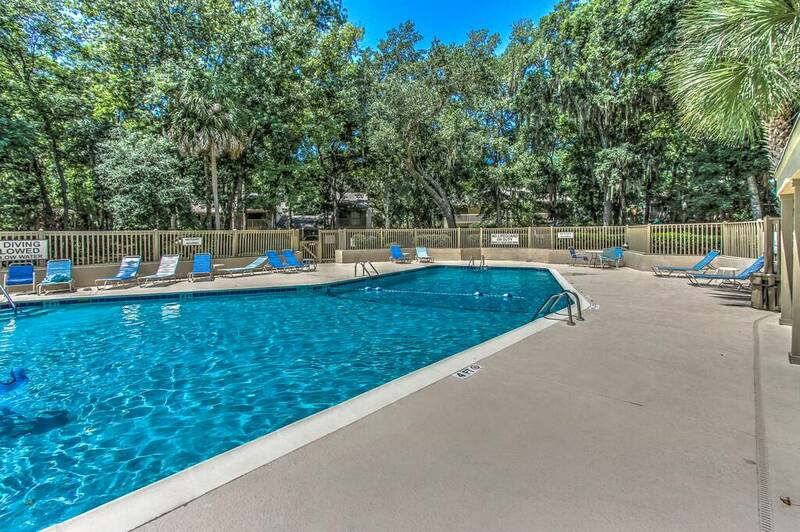 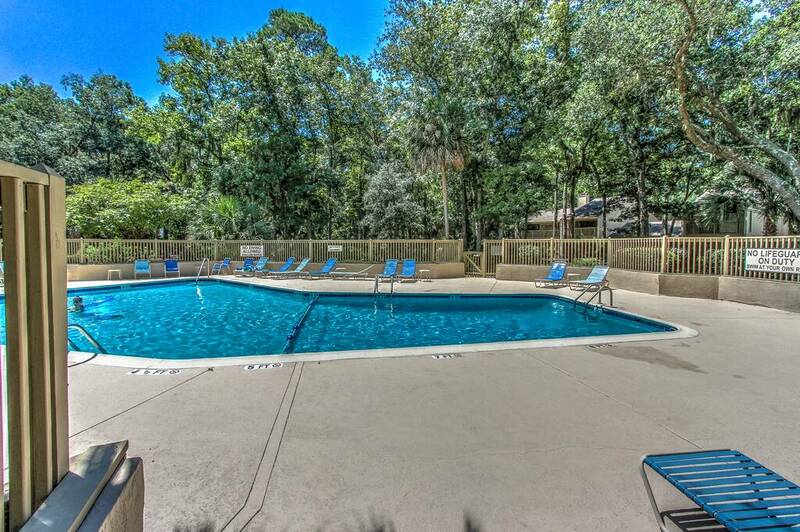 Includes pool and tennis courts. Short bike ride or walk to the beach! 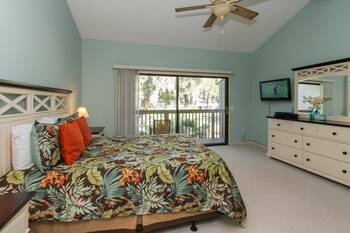 Master Bedroom is on the main floor. 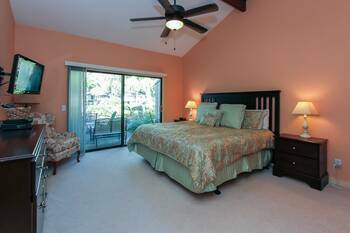 This bedroom includes a King bed and ceiling fan. 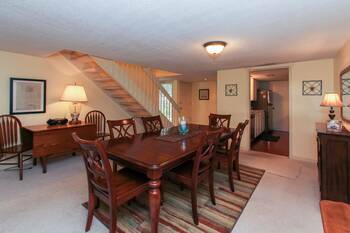 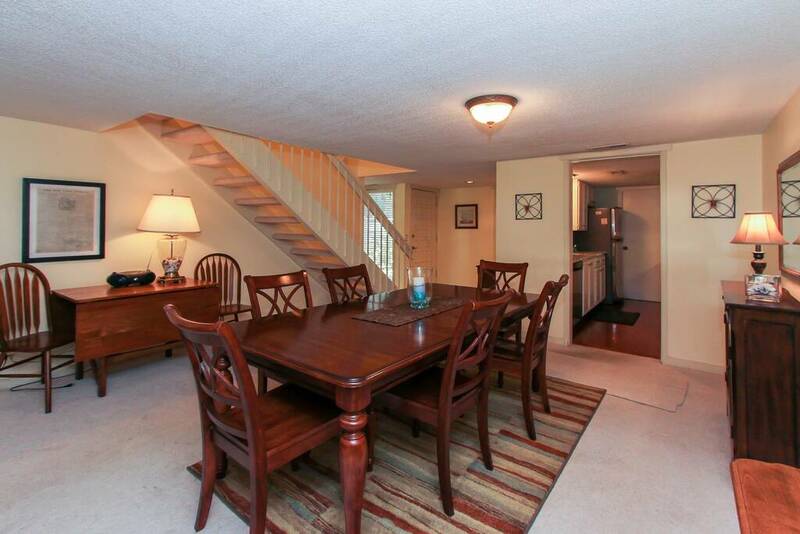 Kitchen, dining area, and living room are on the main floor as well. Living room has a fold out couch. 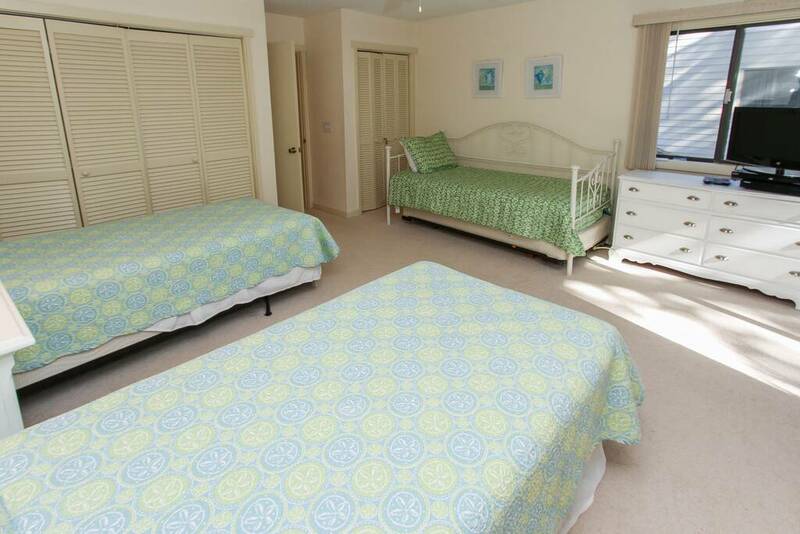 The two guest bedrooms are upstairs. Guest room #1 includes a Queen size bed with ceiling fan. 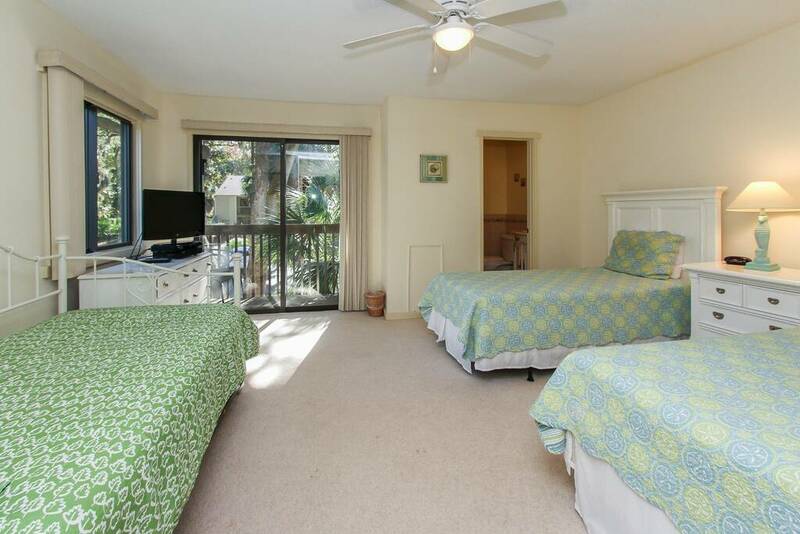 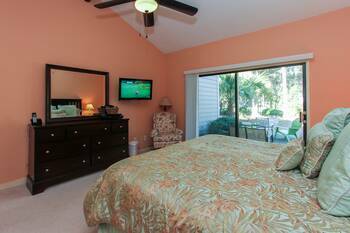 Second guest room has three Twin beds with roll out trundle bed, sleeping four kids easily.